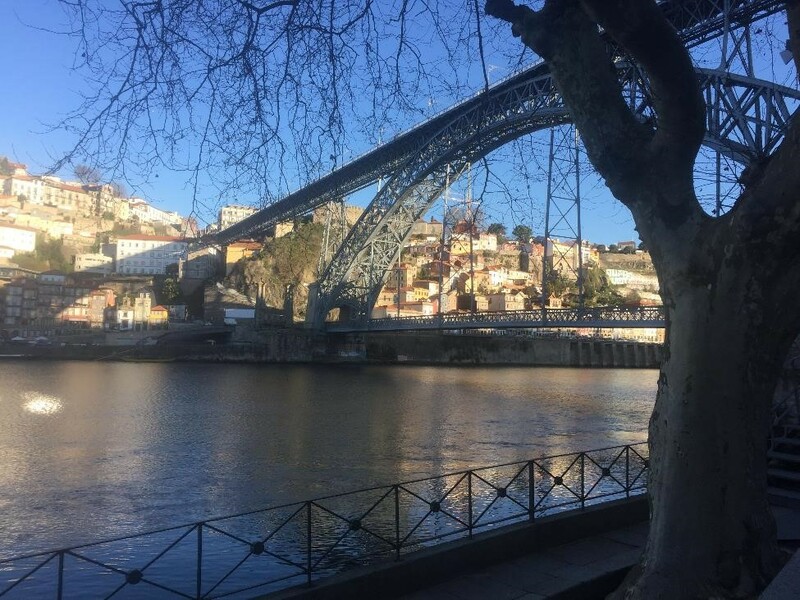 I took a different approach to planning our stay in Porto, Portugal, by hiring a local tour guide to give us the lay of the land. My perception of the city was that it was a lot of old churches and architecture without many “family friendly” attractions. I wanted to make the most of the eight-hour drive and limited time, and thought a guide would provide context for what we were seeing, give us a quick overview of Port production, and overall, make sure we saw the highlights in a short period of time. The tiled walls of the S. Bento train station tell the story of the city. 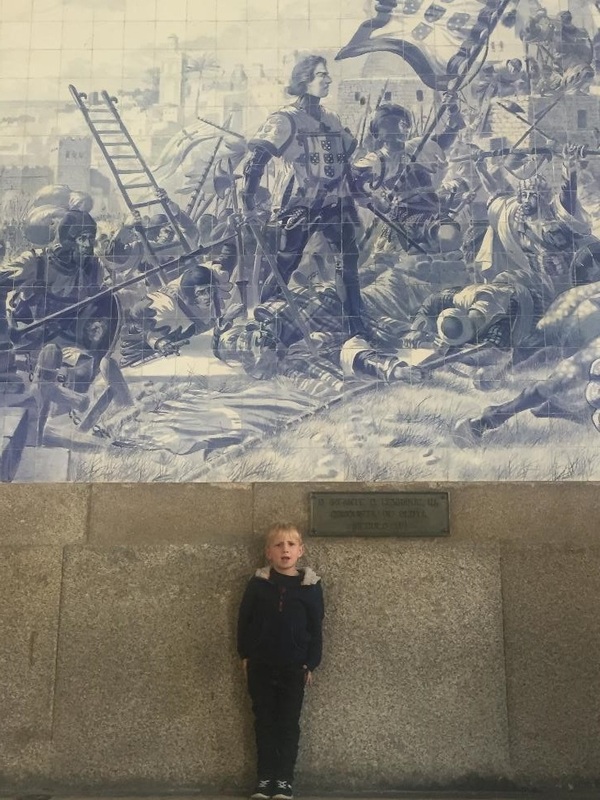 Here our Henry poses in front of a mural of Prince Henry the Navigator. While the tour was certainly how we spent the most of our time and money, the highlight for the kids was The World of Discoveries, which we were able to explore with good friends on an overlapping trip. It took a couple of hours at most, but there was an amusement park-type boat ride recounting Portuguese explorers’ worldwide adventures. 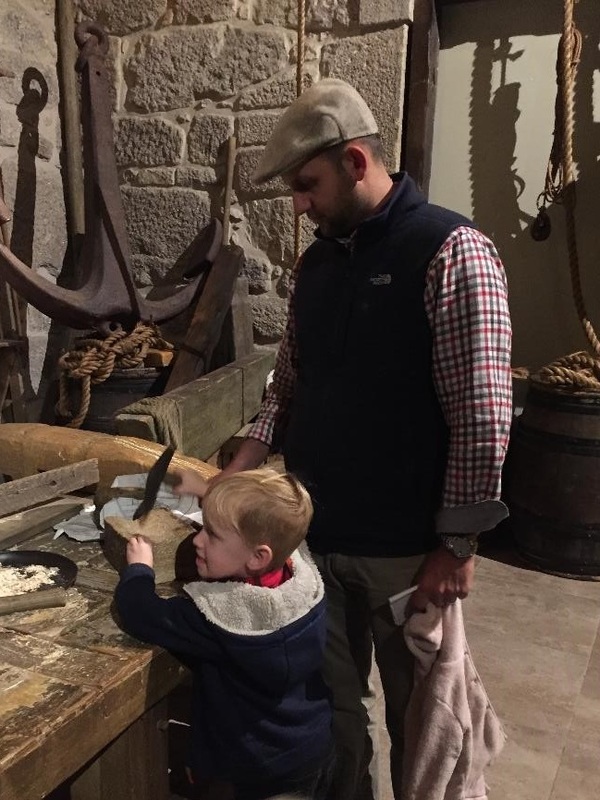 There were also many hands-on attractions to introduce what life was like for the explorers who ventured from their homes on the Iberian Peninsula to discover our home in America (and elsewhere). This stop is one of the kids’ favorite attractions after two years in Europe. There were many hands on exhibits in The World of Discoveries, including this even real shipbuilding room. 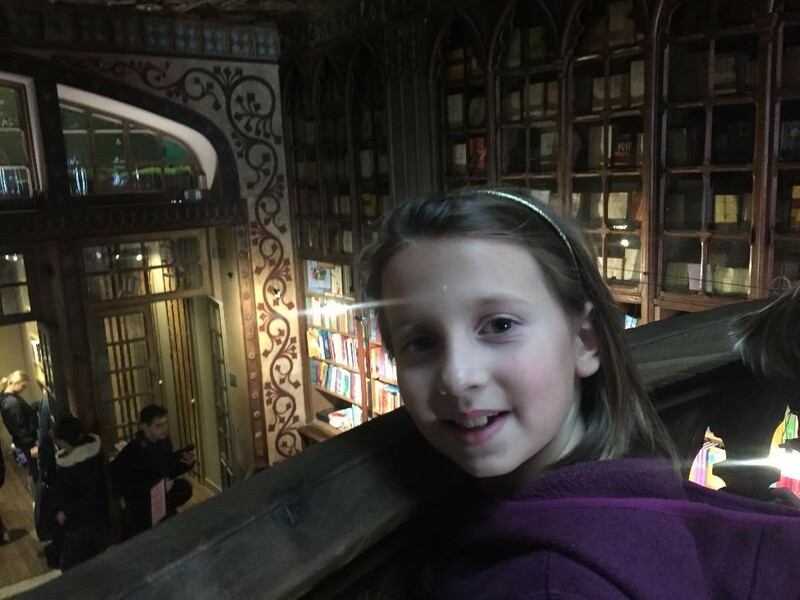 After our walking tour, we did make it in the Lello Bookstore, famous for inspiring J.K. Rowling while she lived and worked in Porto. It was insanely packed, and while surely beautiful, it was probably not worth it. But we were able to skip the line with the kids, and who can tell their children no when they say that “books are my life.” We indulged. And, because the ticket price for entering can be applied towards a book, we also let them each pick out an English language book from the small but well curated English Children’s section. We didn’t make it to any of the Port cellars, but did pop into a fun Port tasting bar, The Wine Barrels, for a tasting flight. It worked well for us. We got a quick overview of several ports with an accompanying taste. The kids got juice and olives. We were in and out, yet it was a nice break for everyone after a day on our feet. We actually stayed on the Vila Nova de Gaia side of the river where Port is actually produced and Dennis ventured out to the Real Companhia Velha cellar during bedtime one night to bring us back some bottles. I should also mention our hotel, Reis de Gaia, which I recommend. We had a nice and large apartment, a tasty breakfast both days, and a short walk to get to anything we would want to see. To get from our neighborhood to Porto proper, we just took a quick stroll past the port cellars and across this bridge. I was fine walking on the lower level, and even took enough steps on the upper level to get a glimpse of the view from on high. I’ll also mention that we took Henry’s love for street performances up a notch on this trip, by giving him a handful of change at the start of the day. From then on, he was able to hand change out as he saw fit. That boy loves a good performer. But, we also found him praying inside one of the churches, and then deciding to give his last two coins to the church. He melts his mama’s heart. Henry particularly enthralled with a street dance show. Look at that face. After our brief visit in Porto, I could see how it has become so popular with millennial bloggers and Instagram folks. It’s beautiful and gritty, full of fun looking restaurants and trendy little shops. It was one of those places I know can be done so much better than how we did it, but we did it none of the less. And thanks to a good children’s museum, it’s actually a stop that our young ones remember. And maybe, it'll be one of those cities that Dennis and I return to some day when we can enjoy a leisurely meal along the river. Charlotte channeled her Farm Papa to map out our walking tour, circling all of the buildings and monuments we had seen.